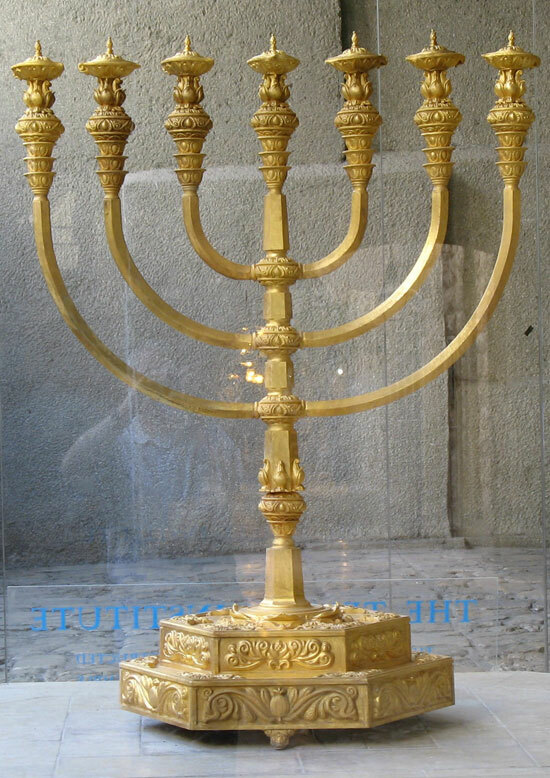 The golden seven-barrel lamp (seven-candle), which was in the Tabernacle of the Assembly during the wanderings of the Jews in the desert, and then in the Jerusalem temple, until the destruction of the 2-nd Temple. 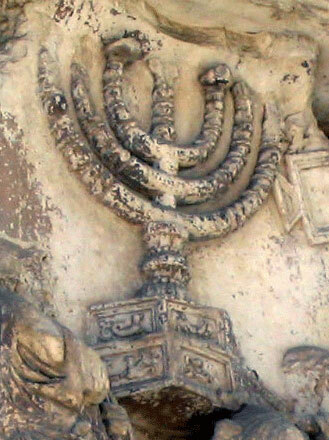 The last detailed image of the menorah, which indicates that it was captured by the Romans at the destruction of Jerusalem in 70 AD, And brought as a trophy to Rome. 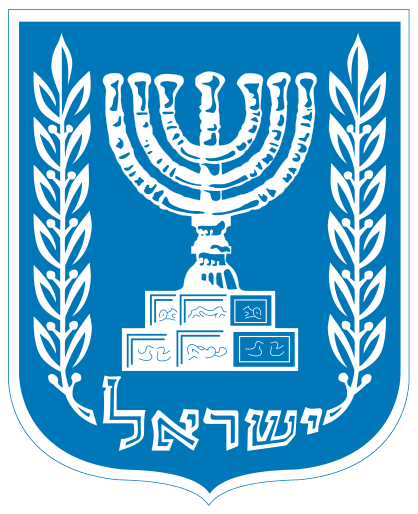 As you can see below, this image is taken as the basis for the coat of arms of Israel. Reconstruction of the Menorah (full size). Produced by Institute for the Study of the Temple. Money for manufacturing menorah was given by a Jew from Belarus. The menorah is kosher and therefore can be used in the temple. 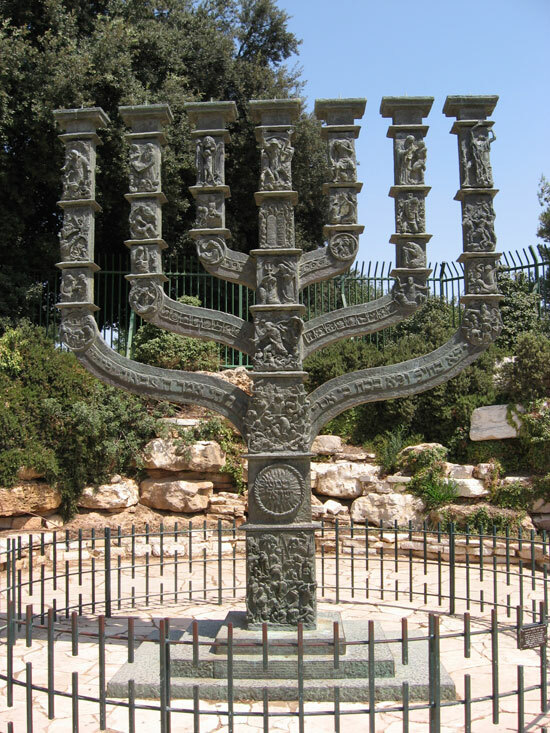 The bronze-sculpted five-meter sculpture of the menorah is set opposite the entrance to the Knesset building in Jerusalem. The author is the English sculptor Benno Elkan (1877-1960). 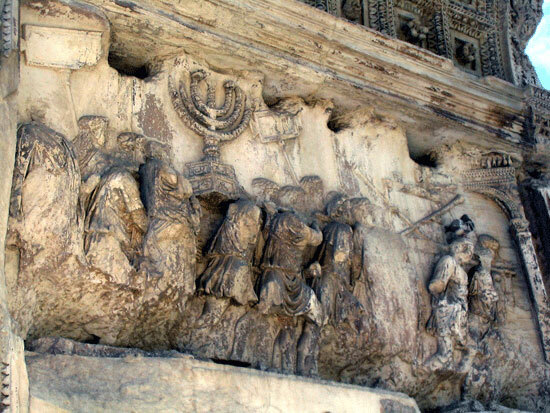 The statue adorns 29 cast bas-reliefs with scenes from the history of the Jewish people, mostly biblical. This menorah was donated to Israel in 1956 by the British Parliament. At that time, Israel and the UK had complex relationships. And then the UK made this very significant gift "From the oldest parliament in the world to the youngest parliament in the world."